As a driver, there will be times where you are confronted with the need to jump-start the battery of your car. The good news is that there is a myriad of different solutions out there to get your car back running again. So many people jump out of their dead vehicle and try to flag down a passing driver, but if you’re in the middle of nowhere and there haven’t been any passing motorists for a while, you are going to be stuck. The best solution that you could opt for is to find the best lithium-ion jump starter on the market. These are compact battery solutions that you can either keep in the trunk or glove compartment of your car, ready in a moment in case your vehicle breaks down at the most inconvenient times. 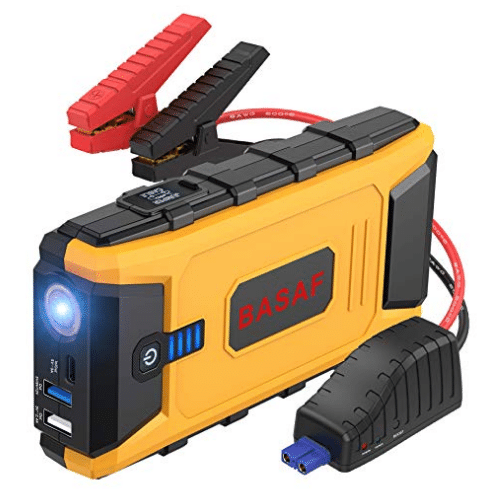 The one time you will need one of these lithium ion jump starters, you want to have one, and it’s essential to know about the products on the market so that you can make an informed choice. 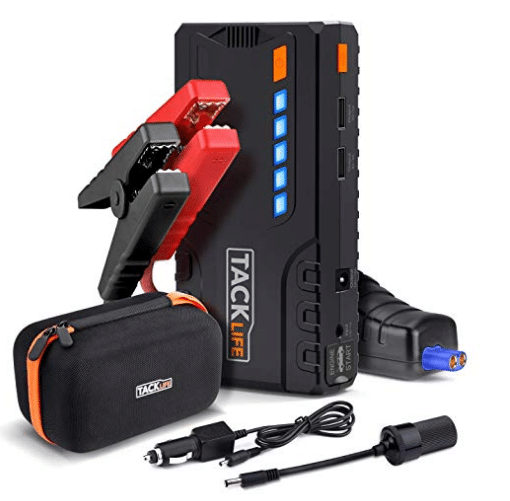 This portable lithium-ion battery jump start pack is one that delivers 1,000 amps to help a battery be jump-started in seconds. There is safety technology that has been patented to proved connections that have been spark-proof, with reverse polarity protection. This makes it safe and secure for anyone to use it. When your car is stuck, and the battery is dead, you need a reliable jump start to get it moving again, and the NOCO Black Genius Boost Plus GB40 is a powerful battery booster. Not only will it jump start your dead car battery, you’ll be able to use it as a power source to recharge USB devices. This can include smartphones and tablets, and it’s designed for cars, boats, RVs, trucks and more vehicles with gas engines up to 6 liters. It’s been designed to be simple and easy to understand. There are LED status indicators that will display the internal lithium batteries charge level as well as the charging status. ● 8x smaller and lighter than traditional booster packs on the market. ● Has the capacity to jump start up to 20 vehicles on just one charge, holding the charge level for over a year. ● It jump starts more than cars, with more vehicles included in its abilities. Other products on the market only jump start cars, and there usually isn’t the capacity to charge items. 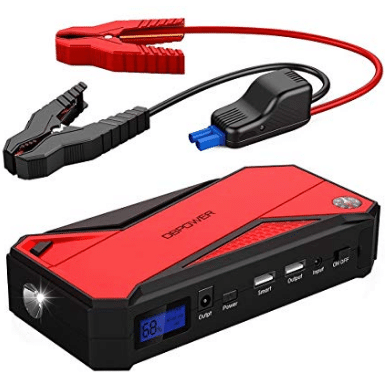 It’s listed as one of the most powerful battery jump starters by DBPOWER, and the DBPOWER 600A 18000mAh Portable Car Jump Starter can jump start engines of up to 6.5L if they are gas, and up to 5.2L for diesel. When it comes to it, this battery jump starter also works up to 30 times on one charge. It’s compact, lightweight and sturdy, small enough to secure right in the glovebox of the car. ● The massive 18,000 mAH power bank can charge smartphones, tablets, Kindles and more because it’s equipped with a 2.4A USB port. ● This is a jump starter that is switchable, and the smart USB port can be used in laptop adapters that are included in your purchase. ● LED light with three modes of function: bright flashlight mode, flashing strobe warning mode and emergency SOS mode. ● A built-in LCD screen can tell you the remaining power of the USB port, as well as the output voltage. ● There is a 3-year limited warranty that comes with your purchase. ● There have been reports the clamps are of poor quality, but this is mostly subjective and down to the opinion of the user. When you’re in a situation where the accumulator on your car died, and you needed to ask for help, you could feel quite stuck. Sometimes, people won’t slow to stop and speak to you, which can elay you further. If this has happened to you, then you may well be interested in looking at a new TACKLIFE T6 Car Jump Starter for your car. It’s a device that comes neatly packaged in its own case, keeping all the attachments in one place so that you keep your new jump starter secure. As this product is so compact, it’s perfect for throwing in the glove compartment of the car in case the main car battery runs out of juice. ● A safe device; intelligent clamps and lithium battery makes this a device that is protected against overload and short-circuiting. ● Large capacity, small physical product. One charge is enough to get your car running again! ● Doesn’t just charge the car. There is the space to charge the car vacuum cleaner and compressor through the cigarette lighter adapter that comes as part of the kit. ● 2-year warranty provided along with a high quality of customer service! ● Reports have been made that the charging effect may decrease after a lengthy operation of the battery. ● It’s important to note that technical support is provided for the first two years of use, but the warranty may specify six months. It’s always worth checking. Every driver needs to feel secure when they’re on the road, and a part of that comes from having a car that runs – not a battery that runs out. 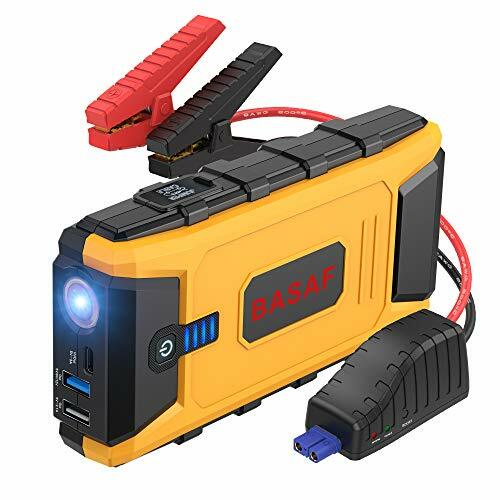 With the BASAF Car Jump Starter, every driver out there can enjoy that power that they need to rely on. It’s a compact and versatile device, making jump starting your car easier than ever before. It’s a new jump starter pack, and there are safety features included that have been upgraded. There is unmatched protection on offer that prevents overload of the battery, and other very common problems that are experienced during the jump start of a vehicle. It doesn’t just boost your car, either. There is a heavy duty casing involved, and despite its size, it can offer 30 jump starts for a charge of one time. There are additional ports for charging other devices, too, and this is a jump starter that is considered to be premium on the market. ● Eight intelligent safety features including overcharge protection and overvoltage protection. A MORE POWERFUL JUMP STARTER: The JX12 lithium-ion jump starter is rated at 1200A peak current. It is designed for 12V vehicles with up to 8.0L gas and 6.0L diesel engines. It provides up to 30 jump starts on a single charge, can jump start a 100% dead battery, and hold a charge for more than six months. UPGRADED SAFETY FEATURES: The JX12 has nine intelligent safety functions to ensure the safety of the user in all modes of operation and to protect the unit from damage. 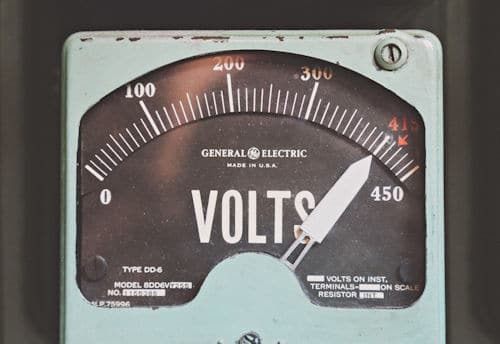 The unit has short-circuit protection, over-temperature protection, reverse connection protection, over-current protection, over charge protection, and over-voltage protection making it super safe for anyone to use. MULTIFUNCTIONAL 15V/10A OUTPUT& LED LIGHT: The 15V/10A multifunction port can power other vehicle devices such as an air compressor, car fridge, car vacuum cleaner, and more. The unit has a built-in super-bright LED flashlight with a normal/steady mode plus flashing strobe and SOS modes for emergency situations. QUICK CHARGE TECHNOLOGY: The newly added Type-C IN/OUT port (5V/3A) and dual USB quick charge output ports can be used to charge your phone, GPS, camera, tablet or other electronic devices even faster. 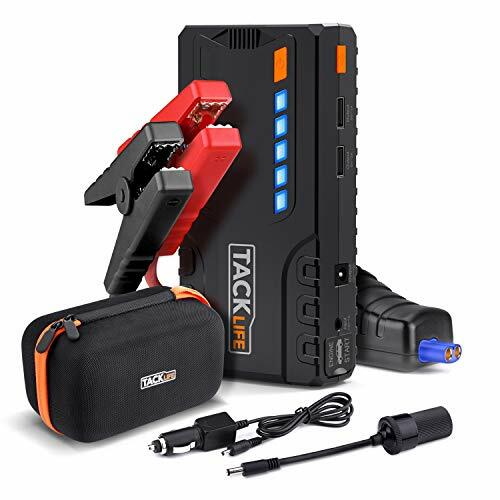 TWO-YEAR WARRANTY: The JX12 comes with a 30-day money back guarantee and a full two-year warranty.This complete package includes: the JX12 jump-start power pack, an intelligent jumper cable set with clamps and protection device, a UL listed wall charger (100-240V), a car cigarette lighter adapter and connector, a Type-C to Type-C charging cable, a USB charging cable, the user's manual, and a portable zippered case. Everything can be kept together in a canvas zip case that, conveniently, also comes with the product. Being able to hold everything together is great in times of an emergency. 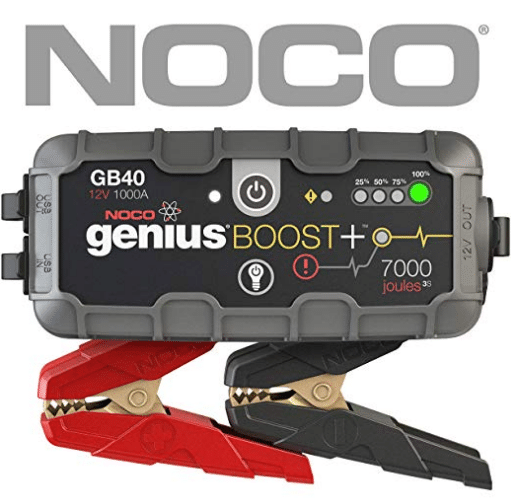 This device can jump up to 6.0L petrol cars and 4.0L diesel cars, which means that there is more than enough power for a motorbike or boat if you need it! This is a jump starter you need for your car in a pinch! 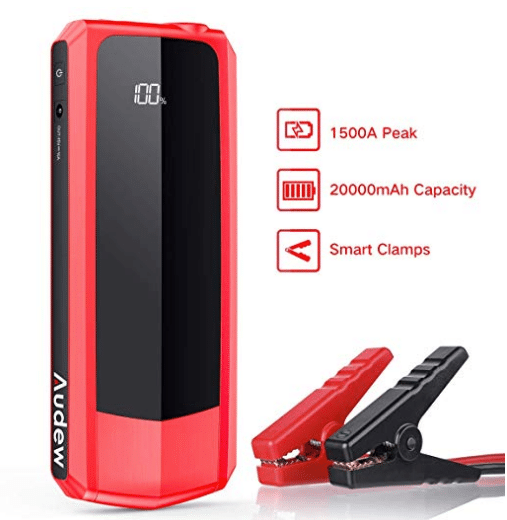 【Super Powerful & Ultra-large Capacity】- AUDEW jump starter uses high rate Li-ion Battery instead of a normal one to makes it easier for you to start most 12V vehicles (any gas engine or up to 8.5L diesel engine) up to 50 times with its impressive 1500A peak and 20000mAh capacity. 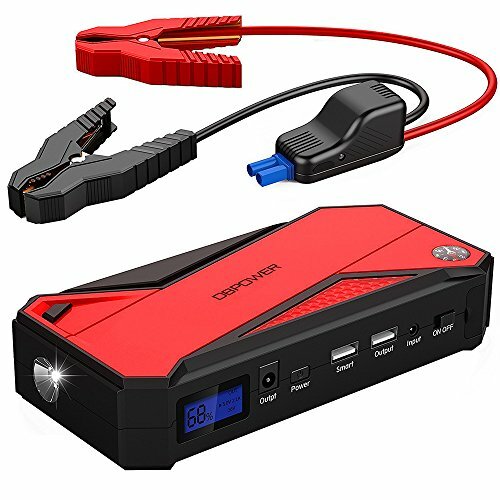 【6 in 1 Multi-function】- Emergency jump pack + portable charger + LED Flashlight + S.O.S Lighting Signal for emergency signaling + dual USB quick charge + for the vehicle's electrical supply. It can help you in in a multitude of situations, especially for long distance driving, outdoor adventures, emergencies and when you are far away from normal services. 【Upgraded Clamp & Advanced Safety Technology】- The intelligent mainboard works with an upgraded jumper clamp to provide reverse polarity protection, over-current protection, overload protection, over-voltage protection and over-charge protection. 【Power Bank with Dual USB Ports】- This is not just a jump starter, but also a powerbank with 20000mAh capacity. With dual USB ports (Quick charge 3.0), it can quickly charge two devices simultaneously such as phones, tablets, cameras & other electronic devices. Automatically identifies the parameters of electronic products and protects them from overcharging. 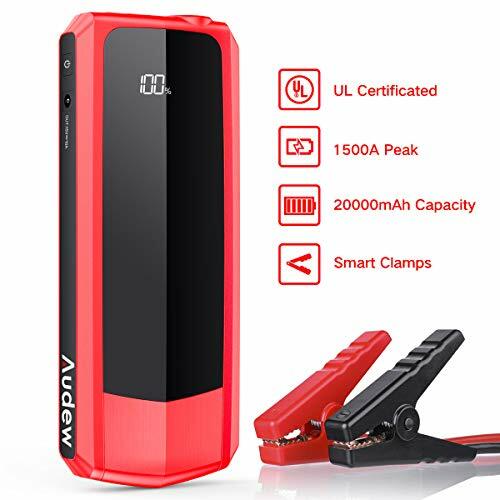 【What's Included】- AUDEW jump starter, 12V battery clamps, USB cable, storage case, wall charger, user manual, 12 months 100% FREE warranty & 180 days money back & 24/7 friendly customer service. Order it with confidence for complete roadside safety and peace of mind. ● Compact Size. As it doesn’t take up too much space in your car, they’re an efficient and great addition to the toolbox in the trunk. They’re smaller than their lead counterparts by up to 80%. ● Safe. Safety is imperative when you’re dealing with electronics, and these are equipped with a state of the art microprocessor that can make you feel secure when using it. ● Powerful. Small and mighty has never been truer than now. It may be, but you would be surprised by the power that it can deliver to your vehicle. They can also provide multiple starts with just one charge, making them energy efficient, too! ● Portable. 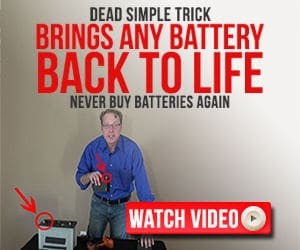 From now on, you won’t have to rely on the passing motorists to stop and jump your battery for you. Lithium-ion jump starters can make you self-reliant on the road, and there’s no need to depend on anyone. Those trips through deserted areas are far more manageable when you can help yourself.